Named for the man who founded Detroit in 1801, Antoine Laumet de La Mothe Cadillac, Michigan’s newest car company launches. The Cadillac Automobile Company rises from the ashes of the Henry Ford Company, after Ford leaves his company over a squabble with investors. Cadillac, formally the Cadillac Motor Car Division, is a division of the U.S.-based General Motors that markets luxury vehicles worldwide. Its primary markets are the United States, Canada, and China, but Cadillac-branded vehicles are distributed in 34 additional markets worldwide. Historically, Cadillac automobiles have always held a place at the top of the luxury field within the United States. In 2017, Cadillac’s U.S. sales were 156,440 vehicles and its global sales were 356,467 vehicles. (1902) Henry Ford ditches his second company and Cadillac is born. The York white rose and the Lancaster red rose meet at the Battle of Bosworth Field, where England’s King Richard III is killed by blows to his crown-encircled head, ending the royal Plantagenet line. 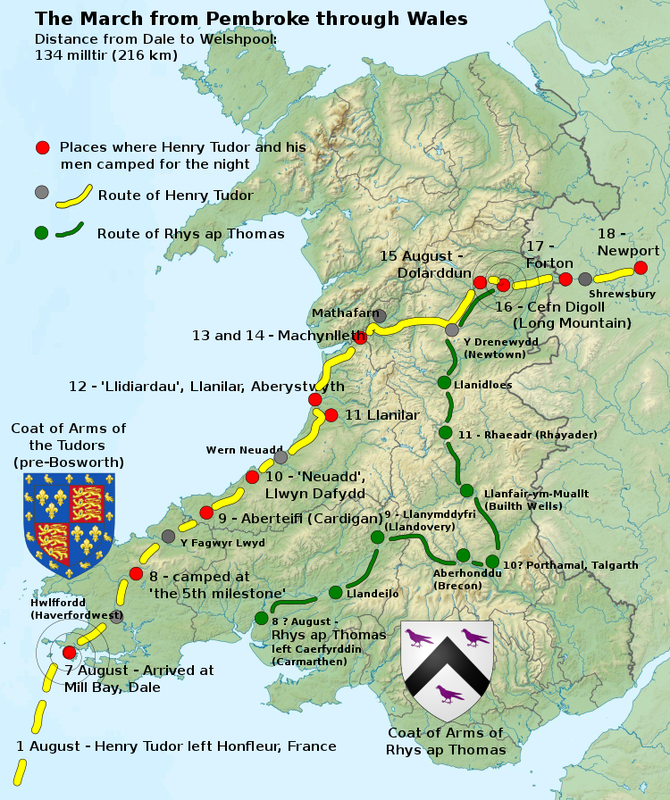 Henry Tudor’s triumph will usher in a new dynasty as the Wars of the Roses fade. Rob Reiner’s ‘Stand by Me’ hits theaters. Based on Stephen King’s novella ‘The Body,’ the movie tells the story of four boys searching for a missing boy’s corpse. ‘Stand by Me’ will help make stars out of Wil Wheaton, River Phoenix, Corey Feldman, and Jerry O’Connell, and earn more than $52 million at the box office. The York white rose and the Lancaster red rose meet at the Battle of Bosworth Field, where England's King Richard III is killed by blows to his crown-encircled head, ending the royal Plantagenet line. Henry Tudor's triumph will usher in a new dynasty as the Wars of the Roses fade. The Battle of Bosworth Field was the last significant battle of the Wars of the Roses, the civil war between the Houses of Lancaster and York that raged across England in the latter half of the 15th century. Fought on 22 August 1485, the battle was won by the Lancastrians. Their leader Henry Tudor, Earl of Richmond, by his victory became the first English monarch of the Tudor dynasty. His opponent, Richard III, the last king of the House of York, was killed in the battle. Historians consider Bosworth Field to mark the end of the Plantagenet dynasty, making it a defining moment of English and Welsh history.